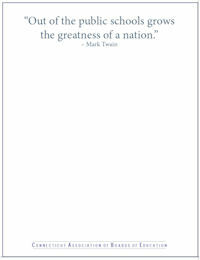 Note Pads for Everyday Use - NEW! 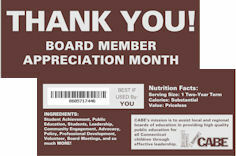 The month of March is Connecticut Board of Education Member Appreciation month. This is the perfect opportunity to say "thank you" to the hard-working and dedicated board members in your district. We encourage you to recognize the time and effort they devote to board business during the course of the year. Choose any of the items listed below to show your support. 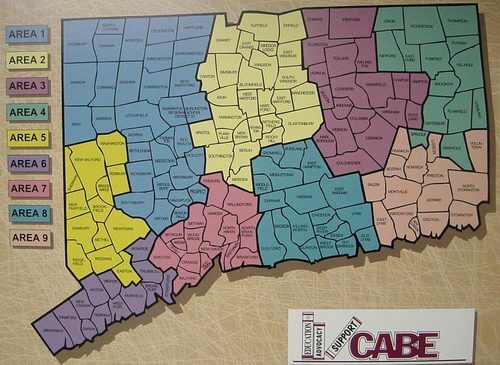 You may also print out an order form and mail or fax (860-571-7452) it to the CABE office.